Feb 2016 Pop it Ups Designer Challenge: Glitter! Welcome to this month's Pop it Ups Designer Challenge with a theme of: GLITTER! For my card I did not spare any glitter! I used the new Flower stencil to create an ombre effect with three colors of pink glitter, then carefully removed the stencil from the adhesive and "grouted" the remaining adhesive with Warm Diamond glitter. I did this technique three times to get a panel for the front of the card and for the background inside the card and, as you'll see on the video, I had no trouble removing the stencil by giving it slow even pressure while simultaneously holding down the sticky parts with a backing sheet from the adhesive. However, some of the Designer Challenge team reported mixed results when using stencils for two-tone glitter. It seemed to depend on the cardstock and/or the "open-ness" of the stencil as to whether the stencil would release from the adhesive or cling so tight that the cardstock would peel/separate as they attempted to remove the stencil. 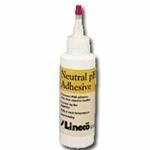 Both Fran and Frances mentioned that coating the stencil with watermark ink like Versamark before laying it down into the adhesive can help it release from the adhesive easier. I've also had great success loosening the ECD adhesive by breathing warm air onto it while carefully pulling. 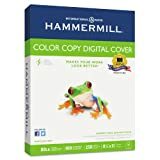 The white cardstock I used in the video is Hammermill 80 lb. Color Copy Digital Cover. It's a smooth white cardstock (Amazon link below if you need it) and I had no trouble with it peeling or separating as I removed the stencil. It probably also helped that I was using the Flower Stencil, which is a tight, even pattern stencil. 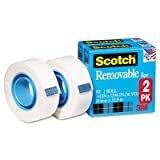 So my advice would be to try the Versamark trick and/or use the same cardstock/stencil that I used in the video to ensure success with this technique. OK, with disclaimers in place, here is the video! Here are photos of the card and the details. It's an A2-sized card, but the brad and ribbon bow on the front will make it too bulky for a single-stamp. If you plan to make a similar card and want the most economical postage, change the front design to something completely flat. Speaking of the front design, I am a big fan of not doubling my work with pop-up cards. Let's face it, they're going to display these cards propped open. For that reason I always start by designing the interior of the card and then create some sort of "simple lead-in" for the front, carrying in the same colors/themes. For this card it was very simple - just a glittered panel with ribbons to look like it's a wrapped present, and a bow held on with a (very old, stash item) decorative brad. For the interior greeting I used the Just a Note clear stamps with the decorator dies (ovals, corner flourish) from the Oval Landscape Accordion. The three supports at the top of the Cake Pop Up are particularly fun because the two outside ones pop-up at an angle, creating festive movement to the candles/strawberries (both included with the set) as the card is opened and closed. The cake stand is cut from a metallic silver paper. This side view shows the construction of the cake - it's really just a series of stacked boxes. I'm looking forward to people getting creative with turning it into other things. The Designer Challenge Team slayed the challenge this month. So much inspiration! So much sparkle! Remember that each of their names is a direct link to their blog post for that particular card. You'll find more photos, supply lists, even general instructions, by clicking those names. Karen Aicken starts us off with this amazing Anniversary card featuring the Hanging Charm Pull Tab with two fun modifications - an extended tab for pulling and a doubled charm that expands when it hangs. She used an oversized card for space to add Rocky the Crab and the Palm Tree, both glittered to perfection. Absolutely fabulous! Kelly Booth REALLY loves coffee, so if you're the lucky recipient of this card you know that you are truly special! Notice the cute glittered monkeys (Jinks) with their tails creating a heart! Adorable. They're hanging out in the Cup Pop Stand, decorated beautifully with the Flower Stage-it Stencil. I love this card more than coffee! Caz Counsell made this extremely clever "changing title" card where the "Be" becomes "Beaver" as the card opens. Inside this sweet Valentine is Baker the Beaver, holding a glittered heart. Baker sports rosy cheeks and an embossed waffled tail. Adorable! Frances Byrne made this delightful Happy Chinese New Year card celebrating the "Year of the Monkey" - a fact that I didn't realize when I was designing Jinks, but a very fortunate coincidence! The Katie Label Pivot Card (one of Frances's "go to" dies) is perfect for any theme and I love her addition of the Paris Edges, plus the different poses of the glittery monkeys. Sandy Diller also celebrated the Year of the Monkey with this fun display piece made with the Katie Label Accordion and Katie Stars Frame Edges. She found some wooden numbers and covered them with glitter for a fabulous sparkle. She also styled Jinks as two different types of monkey. Really clever and cool! Fran Sabad used glitter to make shimmery sand as a backdrop to a very cool Rocky the Crab, sporting the Santa glasses from Props 5 turned into shades. Open this Oval Pull Card and Rocky has lifted his shades. The sun flies into the sky attached to the Spinner from the Rectangle Pull Card set. Super adorable card! Selma Stevenson is guest designing for this month's challenge and made this fabulous tag/card. The bottom half of the tag lifts up to reveal the pop-up greeting. How very clever! Dutch the Fox is done in glitter for the front of the tag. Love it! We hope that Selma can join us for more challenges this year and if you're not familiar with her work, be sure to click her name and bookmark her blog. Her cards are exquisite! Raquel Mason went to the wild west with this fun glittered Cocoa the Horse card. She used the Rectangle Pull Card, Pull Card and Western Edges and decorated with the Paisley Stage it Stencil and Cocoa Western clear stamps. These are such fun colors. Yee haw! Kelly Booth had coffee on the brain when she created this delicious homage to her favorite beverage. The Cup Pop Stand works perfectly with Joset's Cupcake die to add foam. Kelly did a beans and glitter grout technique on the inside cup and used the Paisley Stencil on the front cup. Really lovely! Frances Byrne was also thinking java with this beauty, featuring a fun blue/brown color scheme and lots of stencil work. The Coffee Stencil creates both the beans and the flourish pattern on the rim of the saucer. Frances used the Swirly Flourish stencil on the cup and embellished with the Pull Card Edges. A gorgeous script word from Suzanne Cannon's collection finishes off this elegant card. Caz Counsell made this romantic card featuring the Medallion stencil with glittered paste for a textured sparkly backdrop and then added the Eiffel Tower and Just a Note clear stamps. So pretty! Pop it Ups products can be used in so many ways, so don't feel limited to just interactive cards. Sandy Diller made this absolutely delightful Animal Party Block (a daytime pet Rave, she says!) using various Character and Props die sets. This is such a cute display piece and so, so creative! Makes me smile. Summer Hills-Painter made this brilliant pop-up scene by using the Pop Stand die from the Christmas Trees set to animate her two glittered Palm Trees. A vine suspended between the trees holds up Jinks the Monkey, just hanging out! She also used the Bananas embossing folder (come on . . . you know you need it!) Flourish Gift Frame, two clear stamp sets and the Pull Card Edges. Definitely high on the list of my favorite Summer makes! 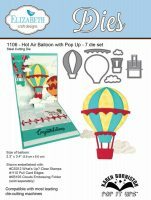 Shelly Hickox had been requesting a Pop it Ups Hot Air Balloon die set for some time and I was happy to be able to add one to the collection and especially when I see what she had in mind! This sweet Valentine is made with the Rectangle Accordion and Shelly added an expanding balloon on the first page. A Katie Label and the heart charm from the Hanging Charm Pull Tab sets create the decoration for Page 2. Shellypiece! Karen Aicken has been rocking her new favorite die - the Hanging Charm Pull Tab. In this creation she used the HCPT as the "gate" with the fence around it, then pulls it up to reveal a hidden greeting. Virgil, Cheepers and Snowball hang out in this barnyard full of love. Great idea on the red shadow layers to really bring home the "love" feel. Fran Sabad really thought of the details when she made this glittery goodness of an Easter-themed Fancy Accordion. The Frame Edges are glittered, along with the Easter Eggs, but also check out the paint splatters, made with candle flames and strawberry leaves from the Cake Pop Up, plus the paintbrush, made by shortening the Props 8 spatula. So many amazing details in this card. Kelly Booth created four cards for this month's challenge! She's a huge fan of glitter and it shows in her beautiful creations. These last two feature the Hanging Charm Pull Tab and the two-tone glitter technique like in the video but using the Paisley stencil. I particularly like how she inlaid the greeting on the green/teal version and extended the pull tab, cutting it into a decorative shape with the Agatha Edges. Also a great idea to mix in butterflies from the Butterfly Accessory die set. Well? Are you on inspiration overload? So many sparkly glittery ideas! Which will you try first? How do you enter? Simply leave a comment on this blog post telling us which Pop it Ups product is on your wish list. (ANY Pop it Ups product - not limited to the ones in the prize pack) You have until Wednesday, February 17, 2016 at 5 pm CST to leave your comment. The winner will be chosen by random draw and contacted for an address by e-mail. Congratulations to Linda Shepard for her number coming up by random draw in the January Secret Word Giveaway. In honor of the NEW products, the Secret Word was "new" and Linda won her choice of (1) new die, (1) clear stamp set, (1) embossing folder and (1) stencil. In just one week I'll be posting the February Designer Challenge, with a theme of GLITTER! Elizabeth Craft Designs is sponsoring a great Pop it Ups giveaway for this month's challenge, so stay tuned for that! Today I'm posting the first in a new video series called Pop Post. I will choose someone in my life who has a milestone or occasion or just to say hello and I will make that person a customized interactive card . . . and actually mail it! Now you may be thinking "Don't you do this all the time?" and the answer is . . . "Nope." It really is shameful. I'm pretty much a lousy pen pal. So I'm turning over a new leaf and I'm inviting you along for the ride. Pop Post videos are real cards for real people, personalized, customized and MAILED! The concept here is that when the Spiral Circle Pull Card is closed, the spiral joins together and you see the coffee cup. The card mailed for a single stamp and arrived in just a couple of days. Poppy made it unscathed on the back of the envelope (lots of glue) and Kelly really appreciated the card. I have so many ideas swirling for the cards I plan to make for the other members of my Design Team, plus friends and family - this is going to be so much fun, and I hope that you'll enjoy these Pop Post videos focused on the "real" side of card making. There's no set schedule for Pop Posts - just whenever I can fit them in.